Changing your windows 7 language is not as difficult as you think. You just need to follow a step by step guide by beam.pk. The first most step is to identify your windows 7 edition that you are using. For all windows 7 users who have been running Enterprise or Ultimate edition can easily change the display language with a few clicks. Language Interface Packs (LIPs) is used for changing the windows language. By installing & activating language pack one can easily change the language used for text in menus, Windows, dialog boxes and other areas of Windows 7. Let us help you out in changing your windows 7 language. First of all, type Region and Language in Start menu. Search field and then hit enter to open Region and Language settings. Now, in the Region and Language dialog-box, you have to switch to Keyboards and Languages tab. Under Display language, you’ll see Install/uninstall languages button. Click Install/uninstall languages button. Moreover, if you have already installed languages packs, you will see the languages list just below it. 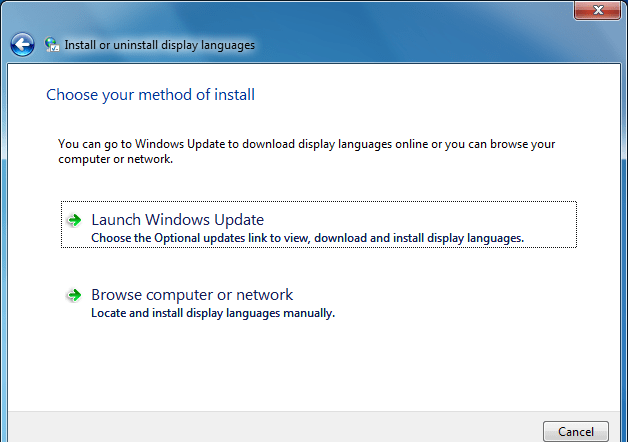 Now, click Install display languages button and then click Launch Windows Update option to open Windows Update window. Here, you will be given the opportunity to download one or more language packs. Here, click Optional updates are available link to see all available display languages for Windows 7. Click one or more languages, select Ok and then click Install updates button to start installing the selected language packs. Once the language pack is installed, select the new language in the drop down list and click Ok. You might need to log off and then log on to apply the pack. Now you should see the language bar in the Taskbar area, which lets you quickly switch between installed languages. You can disable the Language bar by right-clicking on the taskbar and then deselecting Language bar option.